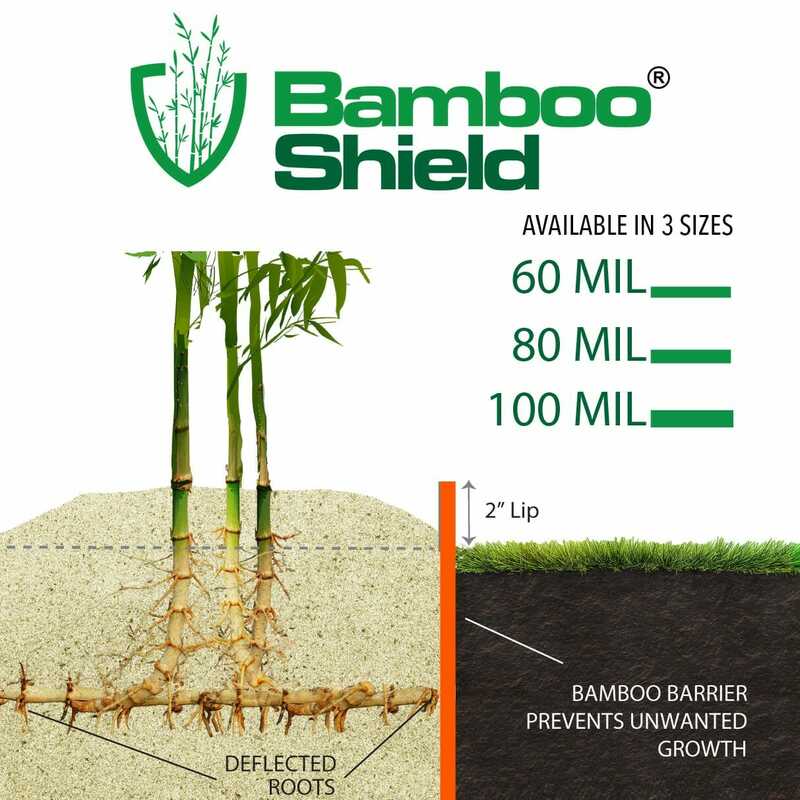 Bamboo Shield is a diversion type control method with a smooth surface on the side facing your bamboo planting. 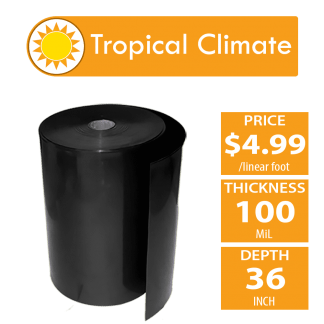 It is made from HDPE, high-density polyethylene. Superior to metals because it will not rust and easier to install. 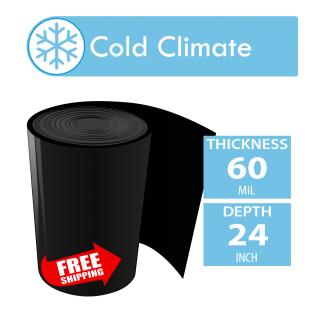 Plastic thinner or equal to 30 mil has been shown to crack when exposed to cold ground temps. Thickness greater than 30 mil does great at handling very cold temperatures (much colder than -15°F) without damage. 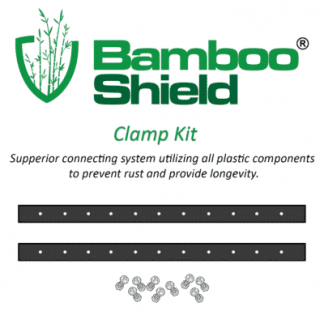 Bamboo Shield has a better chance not cracking when frozen like other materials. Bamboo roots typically travel in the first 12 inches of topsoil. Dependent upon climate zone, species, soil composition, and age of bamboo grove, some rhizomes can go a deeper. 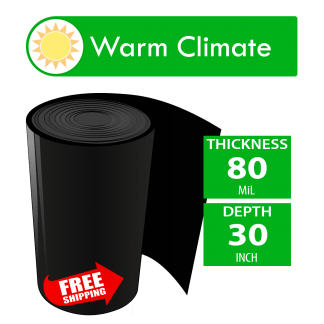 Therefore barrier is sold in 24″, 30″, and 36″ depths. Please check our application chart to see which size is right for you.